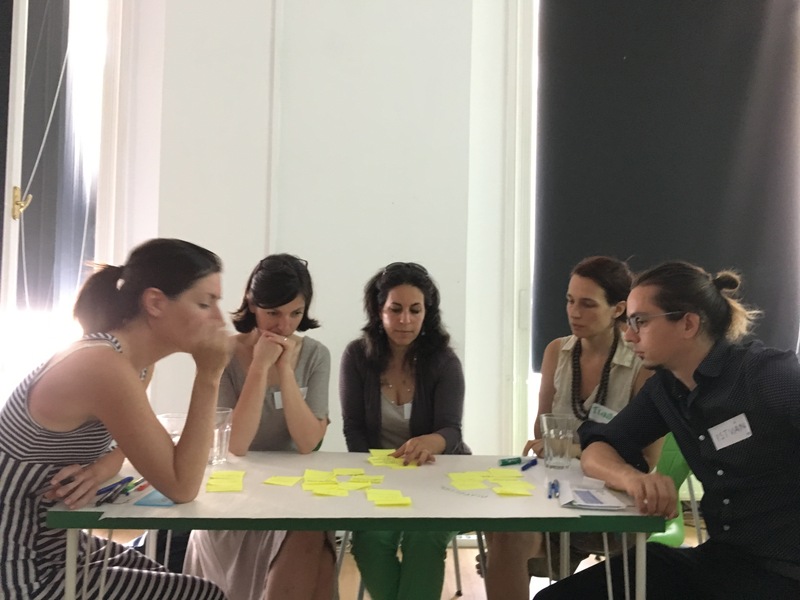 In the framework of the Fit4Food2030 initiative in Budapest, together with various representatives of CSOs, the public, and the private sector, on 5 July we sought to find out how the food system will be able to meet the challenges of the future. The morning session provided a wonderful opportunity for networking and for learning about each other’s interests, strengths, and motivations. After the introduction of the Fit4Food project and FOOD2030, participants engaged in an introductory activity that aimed to discuss the current state of the local food system. Using this as a starting point we took a short trip in time, fast forward to 2030, and through a series of exercises created our visions of the food system. The variety of the individual visions, as well as the differences in perception and understanding regarding certain concepts like community or food quality, became apparent during the interactive process. In addition to this, several topics surfaced during the conversation which are worthy of further deliberation and action both at the policy level and in the development of research agendas. An exciting question, for example, is how to take into account the interest and well-being of the producer (e.g: solidarity with domestic farmers), the natural environment (eg reduction of the ecological footprint) and the consumer (eg: free to decide what to eat ) at the same time? How is food system sustainability perceived in different communities? Promoting the existing best practices and share them with a much wider audience. Organizing joint events: mini-conferences, training programs, innovation processes. Programs for children and young people, where they interact with the food system in practice while focusing on the aspect of sustainability. Promotion and development of community-based production and logistics systems. Educational training programs for children, parents, and hospitality professionals. Building a more active relationship with trade actors. Practical workshops for consumers on reducing food waste. Exploring power relations and making them more transparent. The group’s dedication to achieving positive change serves as a fertile base for creating a transformative network that will not only connect the existing initiatives, networks, and communities active in the field of food system sustainability but will also support and strengthen them. We are going to meet again on September 10, 2018. It is still possible to join! Contact us for further information.